Dongdaemun — more properly known as Heunginjimun (Gate of Rising Benevolence)— is a prominent landmark in central Seoul, South Korea. The Korean name “Dongdaemun” means “Great East Gate,” and it was so named because it was the major eastern gate in the wall that surrounded Seoul during the Joseon Dynasty. The gate is located at Jongno 6-ga in Jongno-gu. Dongdaemun Market is located near its namesake of Dongdaemun (Great East Gate). Korea’s largest wholesale and retail shopping district has 26 shopping malls, 30,000 specialty shops, and 50,000 manufacturers. Within the ten blocks of the market area, you can find silks, clothes, shoes, sporting goods, plumbing and electrical supplies, electronics, office supplies, toys and just about everything else imaginable. Gyeongbok Palace (경복궁, Gyeongbokgung) is a palace located in northern Seoul, South Korea. 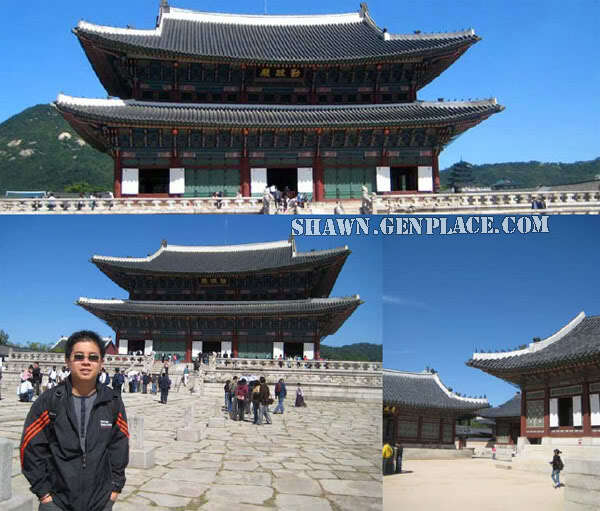 It was the main and largest palace of the Joseon Dynasty and one of the Five Grand Palaces built by the Joseon Dynasty. The palace was originally constructed in 1394 by King Taejo and “Gyeongbokgung” was named by minister Jeong Do-jeon. Gyeongbokgung was continuously expanded during the reign of King Taejong and King Sejong the Great, but part of the palace was burnt down during the Japanese invasions of Korea (1592-1598). After that, is our Lunch time “Samgye-tang (Ginseng Chicken Soup) ”.The body cavity of a small chicken is stuffed with glutinous rice, young ginseng shoots, and jujubes. The chicken is then boiled in a clear stock and served in an individual earthenware pot. 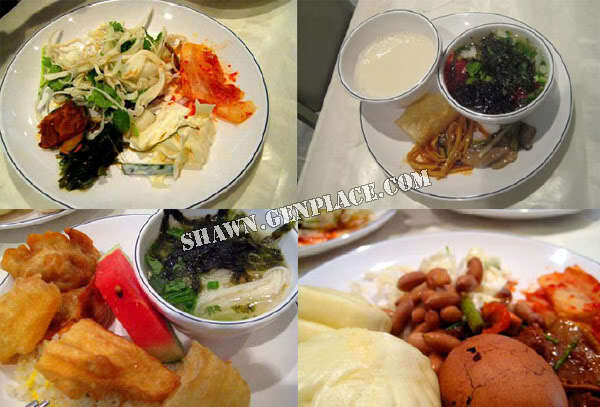 It is highly recommended for those new to Korean food. This dish is famous as summer dish. Koreans try to survive the summer heat with hot stamina food. This wonderful dish is gradually being recognized by the rest of the world. Even if you are skeptical about the properties attributed to ginseng, you will enjoy this dish which is said to give stamina during the steamy Korean summers. After lunch, heading to Phoenix Park and nearly 3 hours, we reached Phoenix Park and checked into the condominium first. It is a good experience to sleep on Korea traditional floor mats, called yos for a night. After awhile, we’re going to Blue Canyon Water Theme Park. Blue Canyon’s indoor and outdoor facilities are designed with blue and white tones and it has other various water park rides. Including ‘Wave River,’ regularly continuing waves, and ‘Up Hill Slide,’ fifth floor height slide, there are many other popular facilities located indoor and outdoor. Other facilities include a hot spa, a sauna and an indoor Aqua pool with water massage that will give you much relaxation after an exciting time at the water park.